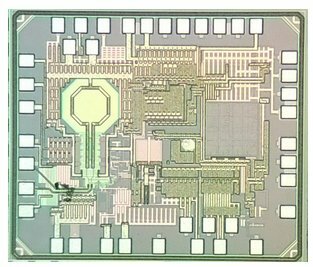 Leuven, Belgium – Feb. 3, 2016 – At this week’s IEEE International Solid-State Circuits Conference (ISSCC2016), nanoelectronics research center imec and Vrije Universiteit Brussel (VUB) presented a self-calibrated high-speed (10Mbits/s) phase modulator achieving an excellent Error Vector Magnitude (EVM) of -37dB at 10.25 GHz. The modulator is based on a l analog fractional subsampling PLL featuring a world leading -246.6dB Figure of Merit (FOM). It is an attractive solution for phase modulation in highly efficient polar transmitters.